Learn How We Will Sell Your Home. Samarkand fosters the neighborhood feel with charming homes and lots of sidewalks to stroll on and take in the mountain views. Samarkand has a rich history dating back to 1915 when a Mission Canyon educator purchased 32 acres with the vision of building a private boy’s school. The property was developed in a grand Parisian style but due to scandals didn’t last very long. The owner’s mother, Mary Hopkins, stepped in and remodeled the school creating The Samarkand Persian Hotel. The hotel didn’t fair much better and later became Marine barracks (WWII), a retirement community and is currently home to a church. Samarkand is what many imagine when they think about Santa Barbara. Diverse architecture, an obvious pride of ownership, epic urban hikes, sweet neighborhood park and even a lawn-bowling center. It is no wonder local’s call it one of Santa Barbara’s most treasured regions. We gathered info from a number of Samarkand dwellers to find out more about the neighborhood. We wrote a separate article entitled, What is it like living in Samarkand. It may give you some extra food for thought. Besides Samarkand’s awesomeness as a family friendly area is its proximity to all things Santa Barbara including restaurants, shopping, hospitals, and schools. It is also one of the most popular areas to take a walk and get to know your neighbors. Samarkand is home to several architectural styles, including period revivals, Santa Barbara and California ranch. As you weave through the neighborhood, you will be treated to tree lined streets, large front yards and pleasant gardens. The gentle rise going North towards State Street adds texture as well as some view lots. 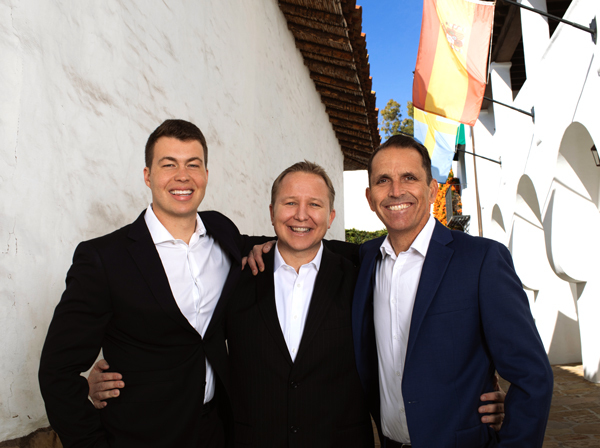 Your Santa Barbara Group Realtors are well acquainted with Samarkand and will help find you just the right home or suggest others areas that will delight you. 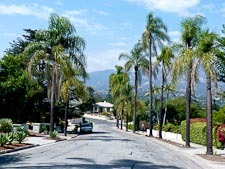 The benefits of working with a Santa Barbara native and long time real estate agent are many when considering a town with so many hidden neighborhoods. Garrett and Joe literally get giddy when they find just the right place for their clients. Call them with any questions you have or to set up an appointment to see a home that interests you. The Samarkand neighborhood is served by the following schools. © 2019 The Santa Barbara Group — Berkshire Hathaway California Properties. CA DRE #01317331 All Rights Reserved. © "2017" BHH Affiliates, LLC. An independently operated subsidiary of HomeServices of America, Inc., a Berkshire Hathaway affiliate, and a franchisee of BHH Affiliates, LLC. Berkshire Hathaway HomeServices and the Berkshire Hathaway HomeServices symbol are registered service marks of HomeServices of America, Inc.® Equal Housing Opportunity. Berkshire Hathaway HomeServices California Properties (BHHSCP) is a member of the franchise system of BHH Affiliates LLC. BHH Affiliates LLC and BHHSCP do not guarantee the accuracy of all data including measurements, conditions, and features of a property. Information is obtained from various sources and will not be verified by broker or MLS. CalBRE 00000000 Real Estate Website Design by Home Junction, Inc. The data relating to real estate for sale on this web site comes from the Internet Data Exchange Program of the Santa Barbara Multiple Listing Service. Real estate listings held by brokerage firms other than Joe Parker are marked with the "MLS" logo and detailed information about them includes the name of the listing brokers. All information is deemed reliable, but is not guaranteed. All properties are subject to prior sale, change or withdrawal. Neither listing broker(s) nor Joe Parker shall be responsible for any typographical errors, misinformation, or misprints.